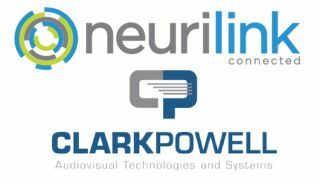 PSNI Global Alliance has awarded Neurilink and ClarkPowell the “Best Places to Work in AV” award based off key metrics provided by its employee engagement survey. This was the third annual survey PSNI has conducted among its North American Affiliates. The PSNI internal employee engagement survey focused on three specific objectives to obtain its 2017 results: measure overall level of employee engagement within the network; identify work attributes that are most responsible for driving employee engagement; and understand employee perceptions in areas such as leadership, work relationships (employee to supervisor and employee to co-worker), culture, growth, and opportunity. Based off the results of these metrics, PSNI awarded Clark Powell “‘The Best Place to Work in AV’ with over 50 employees” while Neurilink was the recipient of “The Best Place to Work in AV’ with under 50 employees” award.